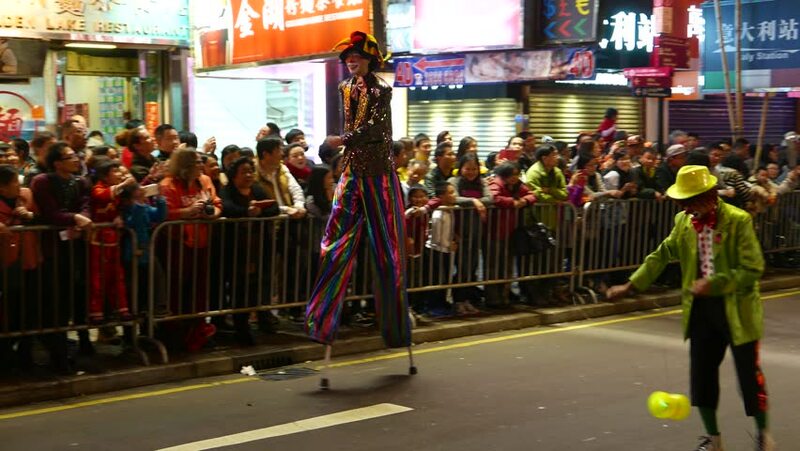 HONG KONG - FEBRUARY 19, 2015: The clown on stilts at the parade passes by spectators, Chinese New Year celebration night procession. Camera track clown position, clip includes original sounds. 4k00:16WUHAN, CHINA - SEPTEMBER 21 2017: night time wuhan city pedestrian street slow motion walking panorama 4k circa september 21 2017 wuhan, china. hd00:15Kuala Lumpur, Malaysia - Circa 2018 : Group of young people and tourist walking infront of H&M biggest retail outlet in Kuala Lumpur. Slow motion and selective focus. hd00:18Los Angeles, California - September 7, 2014: Shoppers and tourists pass a sunglass shack in Fashion District Market September 7, 2014 in Los Angeles, California.